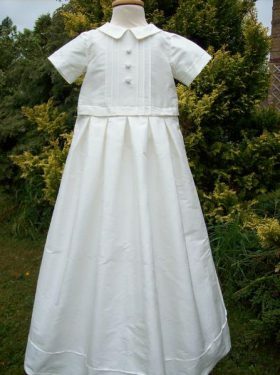 The Bertie Christening Gown and Romper is another wonderful choice for parents who want their son to wear a gown for the baptism and then have the option of wearing a romper after the ceremony. 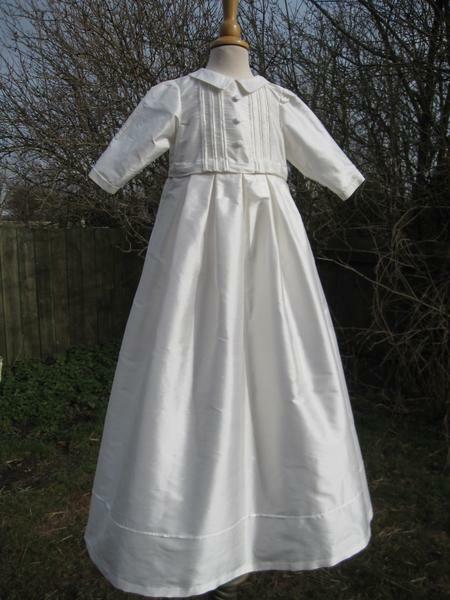 During the baptism, the child wears the gown and afterwards, the skirt is removed revealing the romper which perhaps is more suitable for the rest of the day. 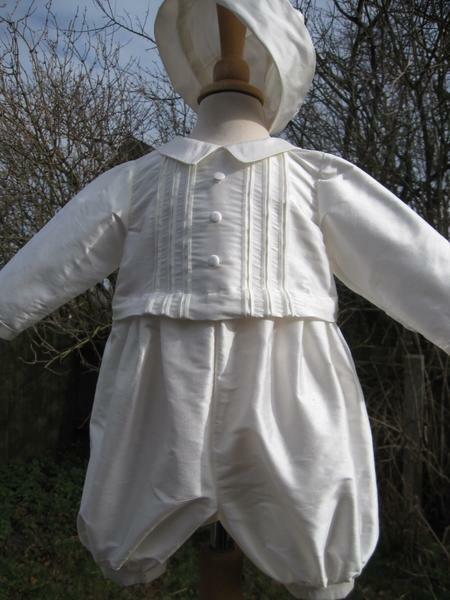 This Bertie Boy Outfit is made from silk dupion. 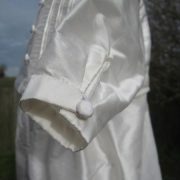 The romper has satin pintuck detailing on the bodice front with matching silk buttons and a sailor collar. 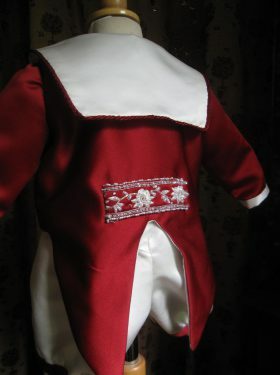 The knee-length legs gather into narrow cuffs, and attach with stylish pleats to the bodice. 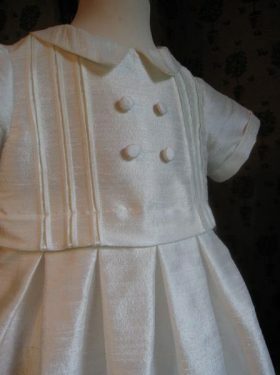 The skirt has a row of pintuck detail above the hemline and then is pleated into the waistband and finally joins the romper at the waist. 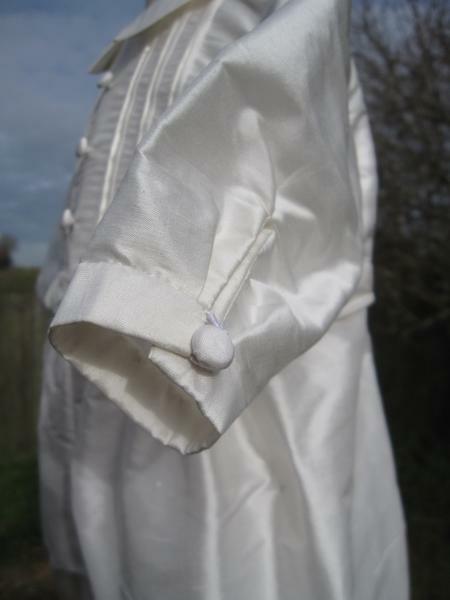 A mock waistband ensures the fastenings are concealed, giving the appearance of a gown only. 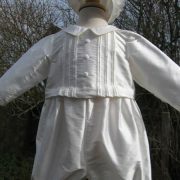 The Bertie Boy Gown and Romper is available in ivory, white or pale blue silk. 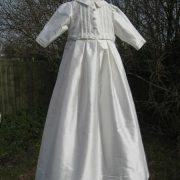 Please phone or email if you require samples of fabric. 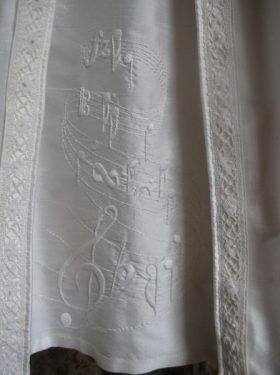 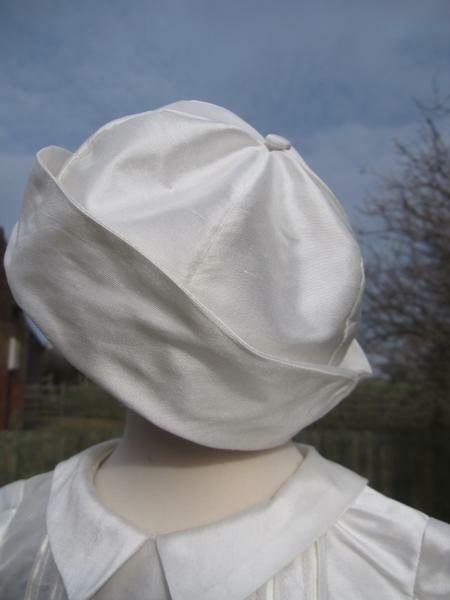 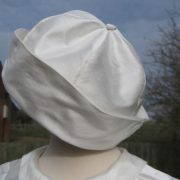 All Bertie Boy accessories are made to match the Christening Gown using the same silk fabric and matching pintucking trim.